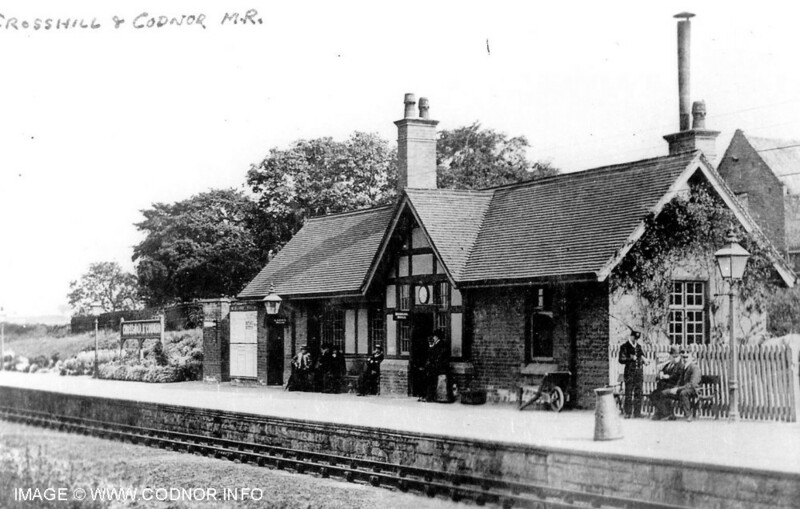 It seems strange now to think that a small village like Codnor would have required a Railway line and station back in the late 1800s. But you have to remember that coal output in the area had increased dramatically and the canal system throughout the country was already being replaced with new rail networks. 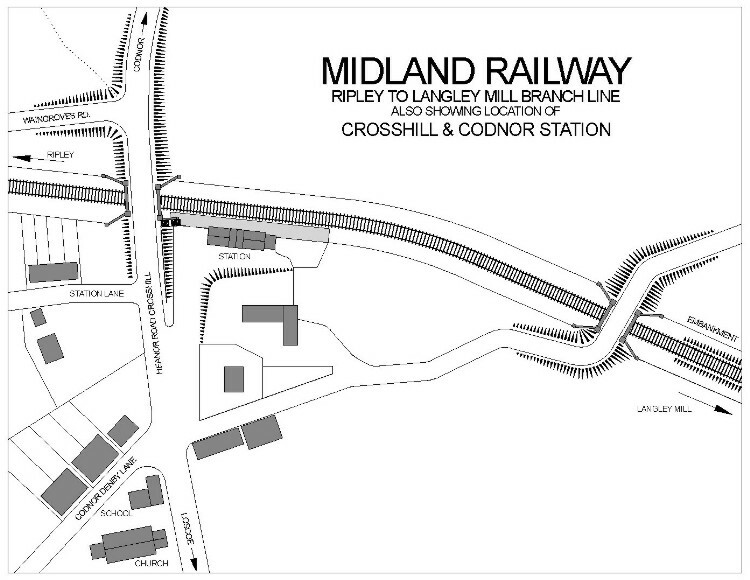 By 1890 Midland Railway had built a new branch line from the Ripley – Derby line at Peasehill, over the land were the brickyard is and under the road at Crosshill between Waingroves Road and Station Lane. It then continued on an embankment past Loscoe dam and to the Midland station at Newlands Heanor. The line was further extended 5 years later to Langley Mill station. Fig.2 A three coach train heading towards Langley Mill drops off a passenger at Crosshill & Codnor station 1904. Fig.3 Mr Freeman stands beside the neatly kept platform gardens 1904. You can see the wooden steps leading up to the main road and also part of the bridge that carried the Heanor road over the line. The station was opened in 1890 and was used by both passenger and freight trains. It closed temporarily in 1917 for three years as a wartime economy measure. The station reopened in 1920 but was never as busy as it was before the First World War. It eventually succumbed to road competition and closed completely in 1926. 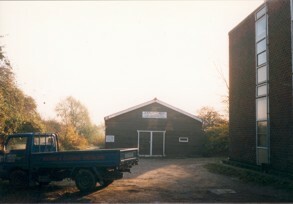 It was used briefly as a social centre for the unemployed during the 1930s and later as a builders yard before finally being demolished in 1972. Crosshill & Codnor Station LMS employees. 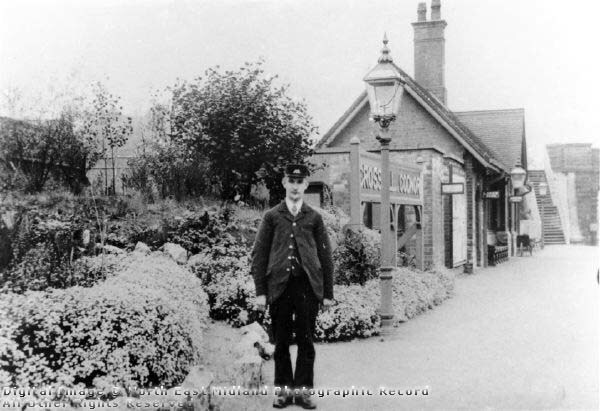 Mr Joseph Bartholomew took over as Station Master on 26th July 1900 after previously working as a Goods Foreman at Ilkeston Station. He later transferred to Edwalton Station in Nottingham as Station Master. Mr Samuel Hand, Assistant Porter between 14th December 1899 and 20th December 1900. Lived on Mill lane with his parents and younger brothers Harold and Leonard. 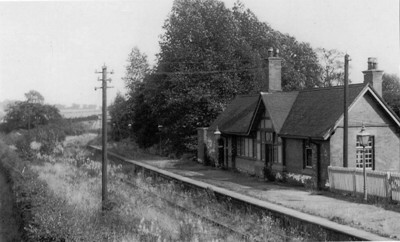 later worked at Long Eaton station. T Harley Assistant Porter between 20th June 1901 and 15th May 1902 then moved to Netherthorpe station. but the station is abandoned and overgrown. Fig.5 This picture shows the station building in the 1930s when it was used as a Social Centre for the unemployed. The people in the picture are, Joe Calladine on the Left and Colin Spence next to him. I dont know who's cleaning the windows. Photo displayed by kind permission of Colin Spence. 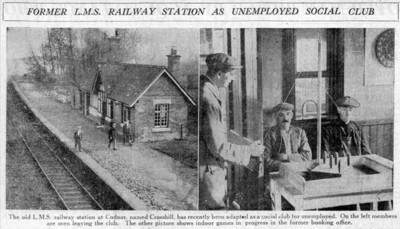 Fig.6 This newspaper image dated 24th November 1933 shows the station being used as an unemployed Social Club. Fig.7 This picture shows Colin Spence feeding his chickens on the disused railway line in the early 1930s. The main road goes over the railway bridge and the station is on the other side. Note the advertising hoardings up on the road. Photo displayed by kind permission of Colin Spence. 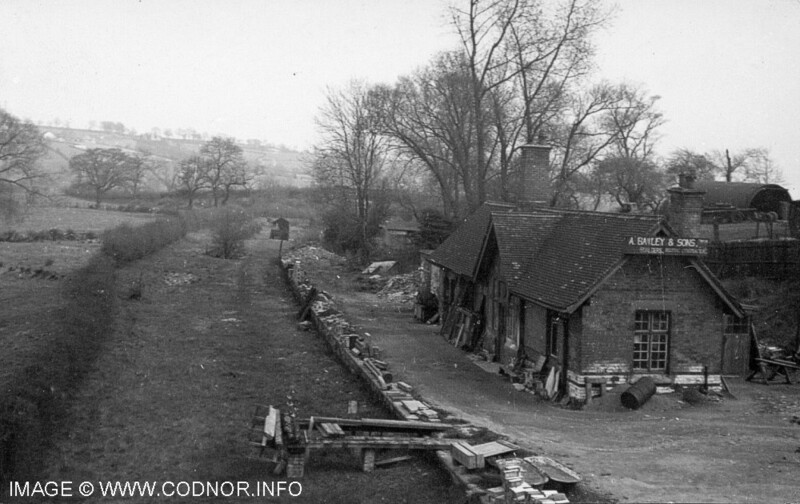 Fig.8 This picture dated 18th April 1954 shows the station some 30 years after it closed, now being used as a builders yard and looking very sorry for itself. 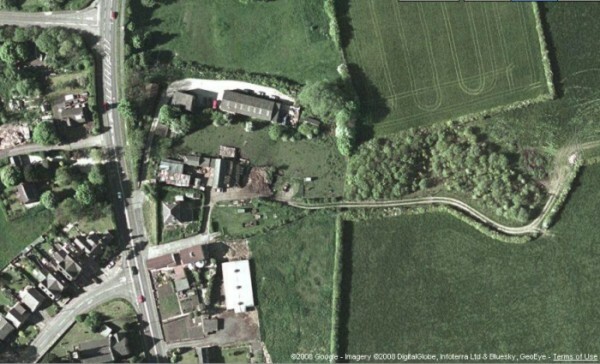 Fig.10 Aerial view of Crosshill taken about 2006 shows how all signs of the Railway line have completely disappeared. During the early 1980s both the railway embankment and the bridge carrying the farm track over the line still existed. However the Godkin opencast sight which covered some 500 acres of land between Codnor & Loscoe removed all signs of the Railways except a small section of the embankment that still survives behind loscoe dam. Also note the row of terraced cottages on station lane have been demolished and are just a pile of rubble. Fig.11 The sight of the station is now occupied by K.P. Electromech, a local company that manufactures electromechanical relays and industrial controls. Simon Swain has been interested in the history of the local railway networks for many years. His particular interest in the Butterley to Langley Mill branch was generated by looking at a picture postcard of Crosshill & Codnor station in a book. 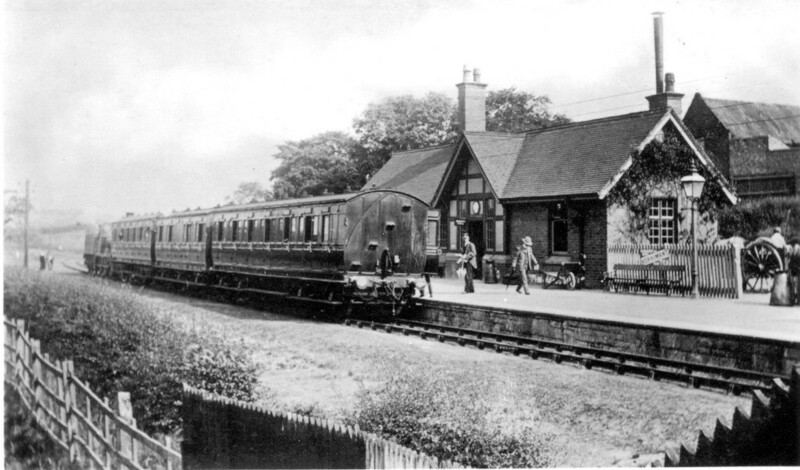 He was struck initially by the individuality of the station which then progressed into a curiousity as to where the branch which served the station started from and where it went to, and how it connected with the local railway network. From that point onwards he began a comprehensive research into the line, its operational history, and its early demise. To read Simon's comprehensive history of the line, please click on the Midland Railway link below.